Solar energy is free energy derived from the sun’s radiation, the sun is the most powerful energy source in our Solar system and the energy that it provides to the Earth for one hour, could meet the current global energy needs for Earth for one year! Unfortunately we are able to harness just a small fraction of the sun’s energy, around 0.001%. Although solar energy in the past has been criticised for being expensive and not terribly efficient, better technology has led to much more efficiency and now economically viable solar products. The main advantage of solar energy is that it is a truly renewable energy source that can be harnessed in all areas and is available for hours everyday. We cannot run out of solar energy, not for at least the next 5 billion years or so when the sun will die apparently! Plus of course using solar energy reduces the use and therefore costs of other energy, particularly electricity, so energy bills will drop. Maintenance of solar systems is negligible too, for most systems they just require some cleaning a couple of times per year. For example good solar panels usually have a 25 years warranty and there are no moving parts to wear out. The main disadvantage of solar power is still cost, even though the prices have dropped considerably in recent years, it is still a relatively expensive, though extremely useful, form of energy. 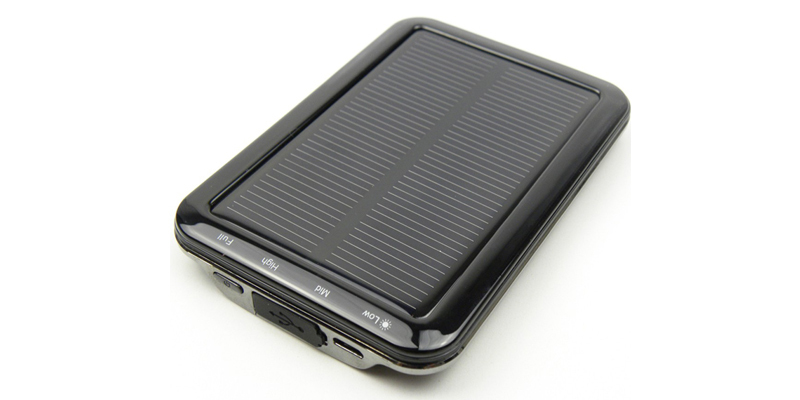 There are a number of functional and useful solar powered products available on the market, perhaps the most useful of all is the solar mobile phone charger. Solar mobile phone chargers use small solar panels to charge the mobile phone batteries as an alternative to traditional mains or 12V car socket mobile phone chargers. Solar mobile phone chargers come in a number of different types but the current technology limits the effectiveness for everyday use. The phone charge times vary depending on the battery capacity installed and of course the weather, but even on a good day with perfect weather expect to plug your smartphone in for 8 hours or more to fully charge using solar power. Solar powered keyboards and mice are perhaps the second most useful of the solar products available, they use photovoltaic cells to charges their batteries from a light source, thereby addressing the major drawback of wireless computer peripherals, namely that they require lots of batteries! In fact, perhaps the most useful applications of solar power today involve prolonging the life of the batteries in battery powered devices, particularly wireless devices which go through lots of batteries. Solar powered products such as alarm clocks, quadcopter/drones, lights (all types of battery powered and wireless lights) and radios – are all useful applications for small scale solar power. In battery powered wireless devices, solar power can mean the difference between changing batteries every few weeks, to every few years! There are of course useful small scale solar applications that do not require batteries at all, with the solar kettle being a prime example, where the suns rays are harnessed to heat water, rather than generate electricity to power a device or recharge it’s batteries.